I’m ecstatic to pick the brain of veteran food critic, cookbook author and food history maven, Arthur Schwartz in this installment of Here’s Lookin’ at You Cook. The Brooklyn-born, bred and based author is not short on answers to all inquiries food-related, having authored books like, “What To Cook When You Think There’s Nothing in the House To Eat” and, most recently, “New York City Food: An Opinionated History and More Than 100 Legendary Recipes,” — an epic study of the city’s rich culinary past and present and a must-read for anyone who thinks they have an opinion about New York food (ahem, bloggers). I had the opportunity of dropping in on Arthur as he was testing out some recipes for an upcoming cookbook in his Park Slope home — and reaping the rewards of that day’s work. These included some homey classics like buttery cheese blintzes, and a many-shaped Jewish baked treat and breads. 1. What is the name of the cookbook you’re currently working on, and when is it coming out? What was your inspiration for writing it? I have just finished writing “Arthur Schwartz’s Jewish Home Cooking: Yiddish Recipes Revisited” and I am currently researching/writing “The Big Book of Southern Italian Food & Wine.” The Jewish book will be published in early spring 2008. The southern Italian book will be published in the fall of 2009. 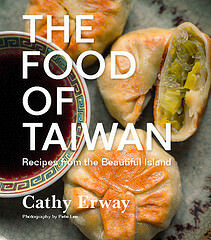 My inspiration for the first book is my interest in my own history and the history of food in New York City. It has many essays and extensive recipe head notes explaining where this food came from, and the culture around the dishes. It even has jokes about the food. Also, I feel this is very worthy food that is being forgotten for the wrong reasons. Jews eat these Eastern European dishes today, but only at holiday times, and often from recipes passed down from grandmothers and great-grandmothers. I wanted to contemporize these recipes — the core repertoire — so that Jews could really enjoy this food and not just eat it out of holiday obligation. As for the Italian book, southern Italian food is also food of my youth — in Brooklyn, Italians and Jews lived together in the same communities. I often joke that my first solid food may have been ziti with Neapolitan ragu. I have already written what is considered the definitive book on Neapolitan cuisine in English (“Naples at Table: Cooking in Campania”) and I wanted to expand my horizons and explore all of the Italian south, a much-maligned but magnificent area of Italian. It has many layers of culture — ancient Greek (it was magna Grecia, greater Greece), Roman, Byzantine, Medieval, Renaissance, Baroque — it’s all here, but relatively untraveled. (A Sicilian friend always says, “What do they have in Florence, Tuscany, one moment in history? We have it all.”) I try to bring this cultural frame into my work — it’s what makes the food interesting to me. Of course, it is fabulous, delicious and very varied, and I love spending time in Italy. Writing a big book about the south gave me the excuse to spend more time there. I have a cooking school just south of Naples and the Amalfi Coast, so it was natural for me, to go to my cooking school sessions and attach more time to explore/research the other southern regions — Puglia, Basilicata, Calabria, Sicily. 2. 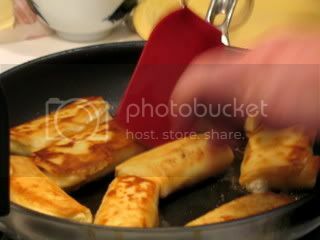 Are blintzes something that you ate a lot of growing up? Yes, we ate blintzes often. My grandmother would make hundreds for the holiday of Shvuous, when dairy dishes are traditional (the day commemorates the giving of the 1o commandments to Moses), then freeze them. If we didn’t have homemade blintzes, my mother could buy very good ones at the bakery around the corner. Then, there were and still are some good ones you can buy frozen in the supermarket. My grandmother made a huge project out of the process — one day to make the crepes, another day to make the fillings and fill them. But I found out later in life, if you make them in a modest amount, they are very easy. It ends up my grandmother did them only once a year because she had to take down her very long, glamorous fingernails to make the crepes, and she was willing to do that only once a year. She was a fastidiously groomed woman. 3. Remind me what these two schools of Jewish cooking are, and why one tends toward sweet flavors and the other savory? The Ashkenazi, meaning Jews of Central and Eastern Europe, can be roughly divided into two groups: Galitzianer and Litvaks. These were geographical divisions, which led to a gastronomic divide. The Galitzianers from southern Poland and the Austrian-Hungarian Empire prefer sweet foods. Even savory dishes have a sweet element. Those from Russia and northern Poland, Lithuania, Latvia prefer foods seasoned with salt and pepper. For example, Galitzianer gefilte fish is sweetened. Litvak is peppery. Today, in New York City markets, the sweet version seems to have won out, but that’s only because Americans like sweet foods, too. Being a Litvak, I think it is disgusting. By the way, each group thought the other group was low class. The divide was cultural in general. Litvaks tended to be poorer but better educated, especially about their religion. Galitzianers tended to be less educated but business-oriented, so often richer. 4. Do you test-drive all the recipes for your cookbooks in your own home? I test everything myself — over and over and very often even when they work out well the first time. By the time I have finished a cookbook, those recipes are very well tested. I want everyone who makes them to have success, and to taste the way I think they are supposed to taste. 5. You mentioned that you rarely eat out these days. How come? I was a restaurant critic most of my adult life (for the Daily News for 18 years). I reviewed restaurants when I was on the radio for 13 years. I am tired of going out to restaurants, particularly new restaurants, which, most of hte time, are pretty disappointing. I love to cook. I love to stay home. I love to eat at home, where it is more comfortable and quiet enough to have good conversations with my friends. Restaurants are too noisy these days. In addition, I don’t earn enough money to eat out frequently. When I do go out, I go to places near where I live and that I know and love. Some place I know my money will be well spent. If I am going to a new restaurant, it’s one near home. I’ll make use of that. I do, however, have a restaurant consulting client and I eat in his Manhattan restaurants frequently — for quality control. 6. When you’re not trying out recipes for cookbooks or planning lessons for a class, what kinds of food do you find yourself cooking or eating, say on a regular weeknight? Actually, I am always testing recipes, or at least cooking recipes that are going to be in a book. However, when I am just cooking, not testing, I usually cook Italian food, maybe something that I haven’t eaten in a while. I never tire of Italian food. I also love Middle Eastern food. I haven’t had a chance to cook it much these days — too busy with Italian food — but I love it. I will go out to eat Middle Eastern. I also love Asian food, but I don’t cook it. I definitely go to restaurants to eat Japanese, Chinese, Thai, Vietnamese, Korean food –all of which I really love. I also go out for pizza. I can make great pizza, but I don’t have a wood-burning oven, and it takes time to rise pizza dough. After a long day of test-cooking, I may well go out for Neapolitan style pizza. 7. In “New York City Food,” you say that New York City is not a melting pot, but a place where people enjoy maintaining their own cultures, especially when it comes to food. Do you think that New Yorkers for the most part prefer to stay within their food comfort zones (unless they’re a food critic, like yourself)? I think New Yorkers are more adventurous than almost any other people. My Italian friends (from Italy) basically only eat and accept Italian food. If you go to France, you’d be hard-pressed to find food that isn’t French. Chinese people eat Chinese food every day. New Yorkers will eat Chinese one night, Italian the next, creative chef-food the next, sushi another night, Ethiopian another night. You get the picture. I think there are individuals with very parochial tastes, but in general New Yorkers have very cosmopolitan tastes. 8. I have a suspicion that a large number of the people reading this site are fellow food “bloggers.” I think it’s safe to say that we practice a much less formal school of food writing than the journalists and critics of your generation. How do you feel about the popularity of food blog reading and writing as opposed to more established mediums like food writing for newspapers? For the most part, I don’t mind the writing of bloggers (although I have to say, EVERYONE can use an editor, including me, who was an editor for most of his life). What I mind is the shallow experience of most bloggers. They don’t know anything. They are so young — in general. They have opinions that are not founded on experience or knowledge. They don’t even do research. They don’t do their homework. 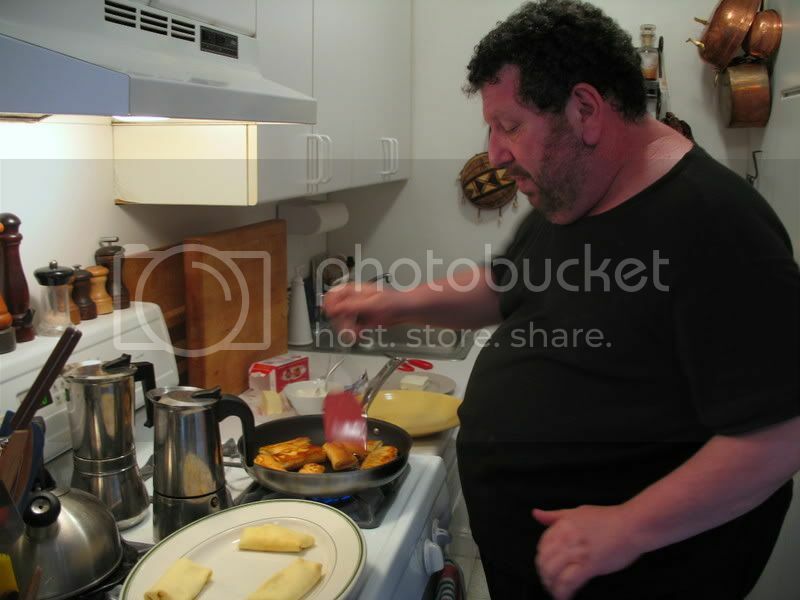 I was a food journalist for 10 years before I ever ventured an opinion. I didn’t think I deserved to have one until then, and certainly no one would publish my opinions, even though I was the assistant food editor of Newsday. You need to report on food subjects, interview experts, write food features, and read, read, read, etc., before you start reviewing restaurants and offering opinions about what is good and bad. Unfortunately, our local newspapers and magazines have dropped the ball, too. Even the New York Times has a critic with no food background. 9. Favorite ingredient of the moment? At this moment (early June), I am eating as much asparagus and strawberries as I can. They will disappear soon. I eat very seasonally. Food tastes best when it is in season. 10. Best food native to Brooklyn? There is, however, a sandwich that I love that was sort of created in Brooklyn. Actually, it was created at a place called Herbie’s in Loch Sheldrake, NY, what Jews call “the mountains,” meaning the Catskills, although it was merely in the foothills of the Catskills in Sullivan County. Anyway, this sandwich was very popular in Brooklyn in the 1950s and ’60s and is still made in some diners and delis, especially on Long Island — south shore, Nassau county. It is the ultimate Jewish crossover food — totally unkosher but beloved by all those second generation Jews who wanted to think of themselves as all-American. Okay — it’s red-roasted Chinese pork on Italian-style garlic bread with duck sauce. In the kosher delis — such as the Mill Basin Deli, where it is NOT very good — they make it with red-roasted veal instead of pork. Wow. Well if that’s not New York- (or Brooklyn)-born fusion at its un-kosher best, then I don’t know what is. I’d tell my parents about it as a great way to use up leftover char siu, but I don’t think they allow duck sauce in the house. Inspired, though — with garlic bread, seriously? Mmm, I think I’m too hungry to look at this for long. Great interview! PS My parents were more than a little horrified when… around 14 or 15, they started ordering take out Chinese food (THEY started it, k!) and I started putting duck sauce on my fried rice. They sneeringly told me only certain kinds of people did that, and I am not that kind… hahahahaha. I have to laugh looking back… it tastes good!!! I have been dying to contact Arthur Schwartz. I bought the new book Jewish Food Revisited at Costco – stood outside reading for well over an hour in the parking lot. I have since bought over 10 as gifts. I have called people and read excerpts (???spelling). The book is so fabulous – I felt like Arthur was taking pages out of my family’s kitchen….I am such a foodie, have a baking business and really appreciated each and every recipe. 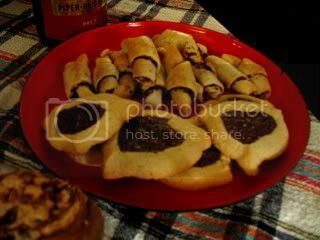 I am planning on making Schlishkas which I have never had and which sound amazing. Arthur you are awesome. Thanks for so much enjoyment. Arthur, This is Jimmy – someone out of your past. I would like to talk to you. You did start me cooking. There is someone who we both knew that I would very much like to know what happened to him, it haunts me. You, I know are alright. Email me, please. Thank you. The 5th comment from Sharyn mentions schliskas but there is no recipe. I’ve tried gnocchi as a friend advised but there’s something missing. If anyone is interested, I finally found a recipe for pogachels which taste like my mother made.